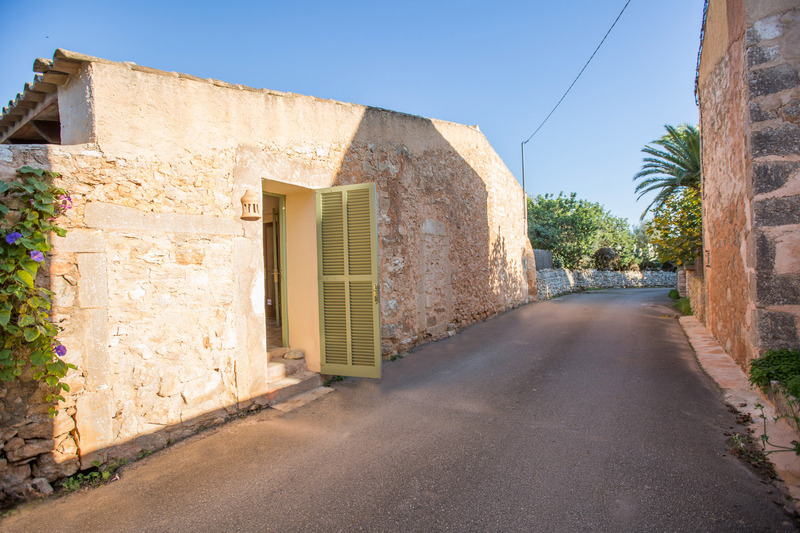 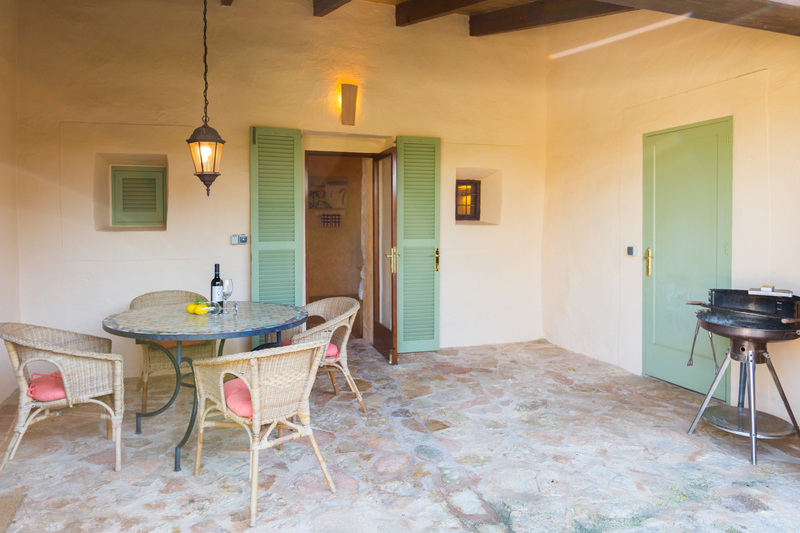 Welcome to this charming property on the outskirts of Santanyí, for 4 people. 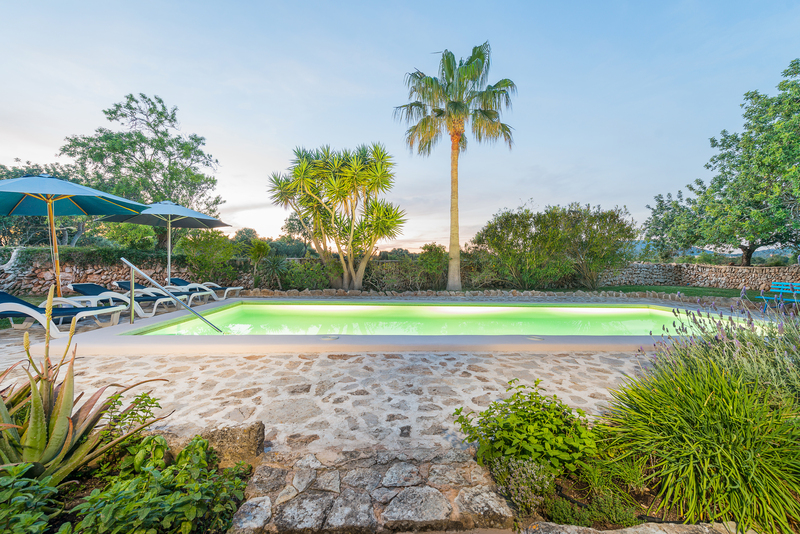 The exterior area is very beautiful thanks to the garden area and the great private chlorine pool that sizes 11 x 4 metres and has a water depth ranging from 1.5 to 1.80 metres and is surrounded by the wonderful Mallorcan stone. 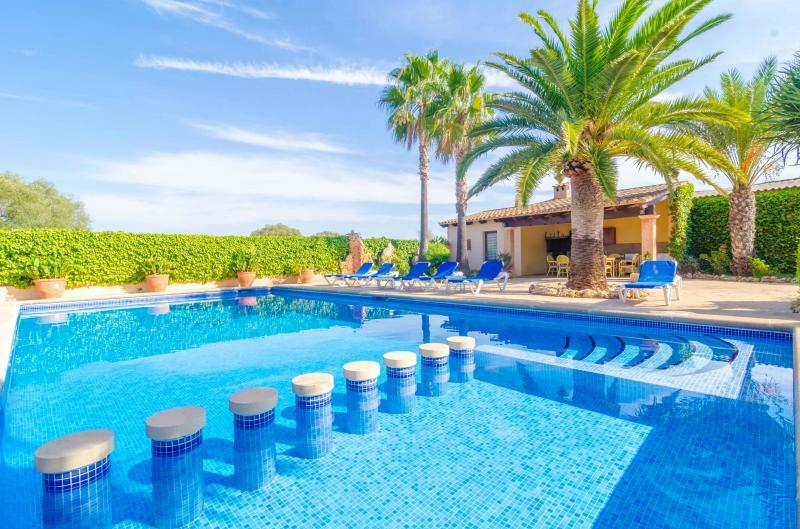 There are 4 sun loungers next to the pool where you can bask in the sun or enjoy a good reading under the parasols. 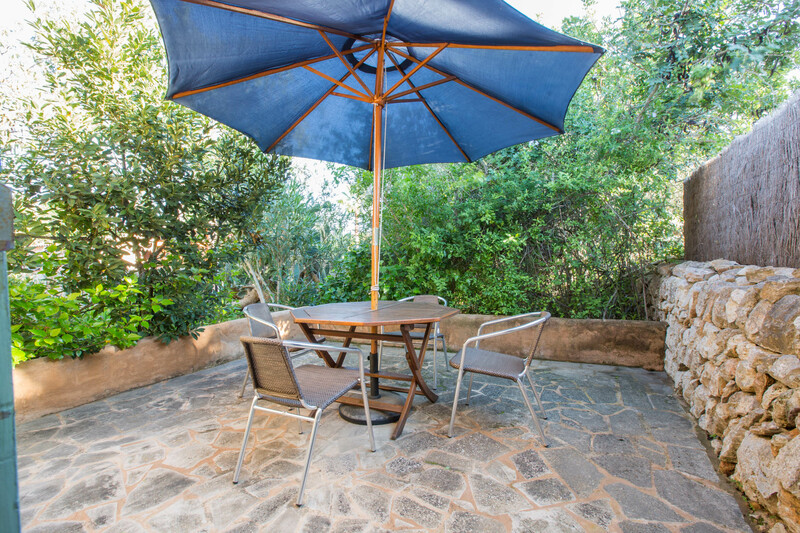 There are two terrace perfectly furnished where you can enjoy a succulent barbecue. 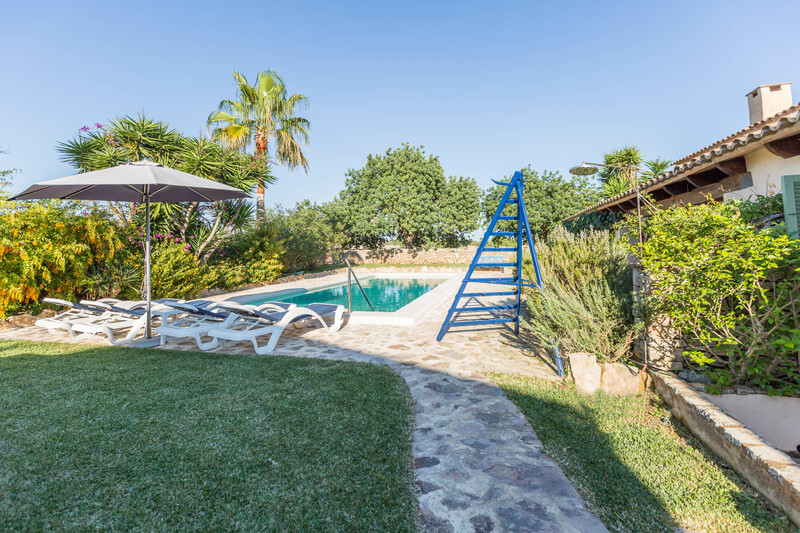 The property is fenced and there are several buildings in the plot, although the poll and garden are private for our clients. 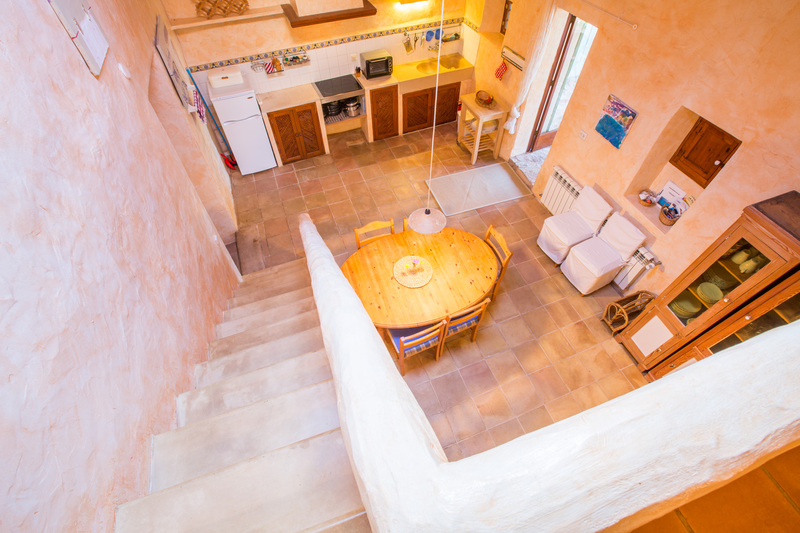 The house boasts a lovely rustic style comprising 80 m2 in a cosy and practical way. 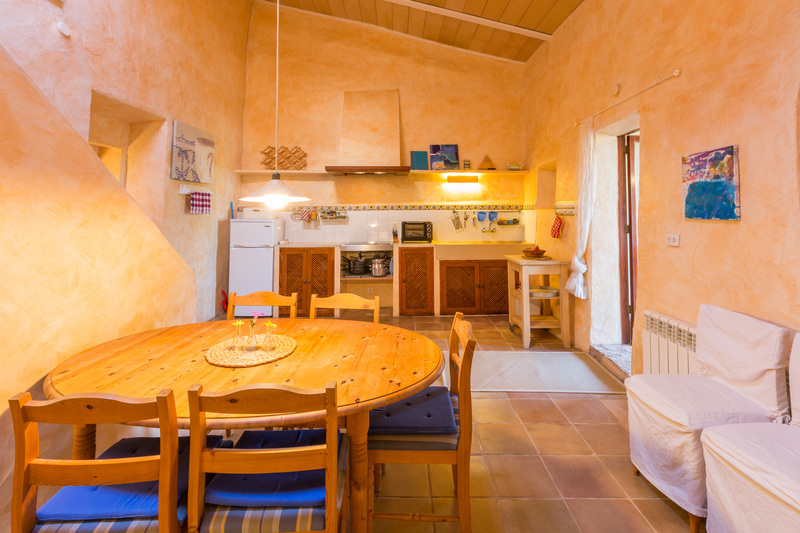 You are welcome by a wonderful living - dining - kitchen where you can spend time all together with your family and friends. 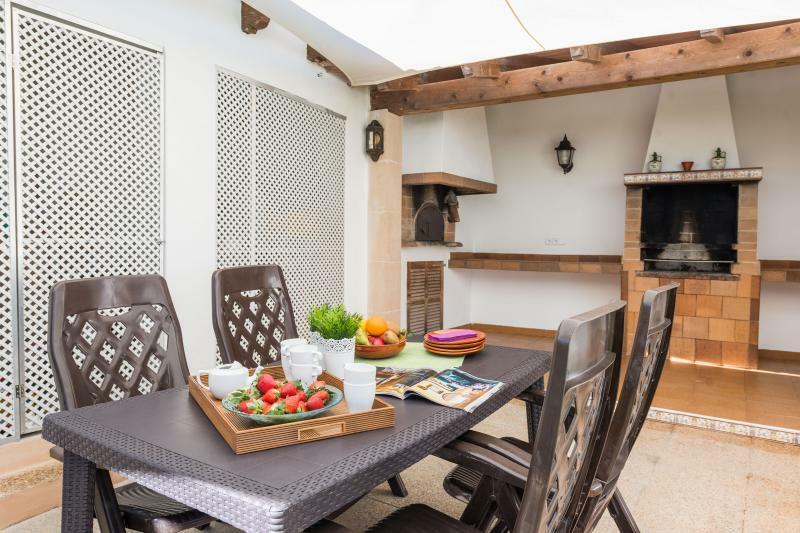 You will have a great tine cooking delicious dishes on the ceramic hob while having an appetiser and set the table before your banquet. 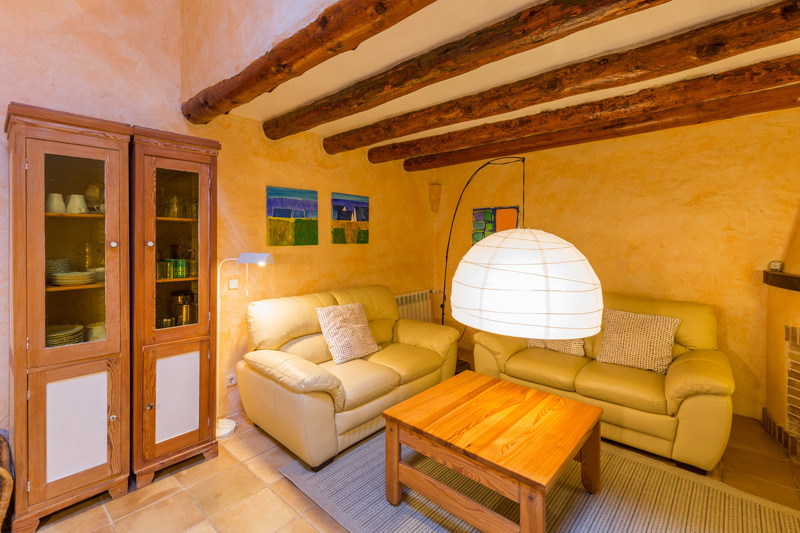 Then, you can relax in the living area while chatting, listening to some music or watching the TV-Sat. 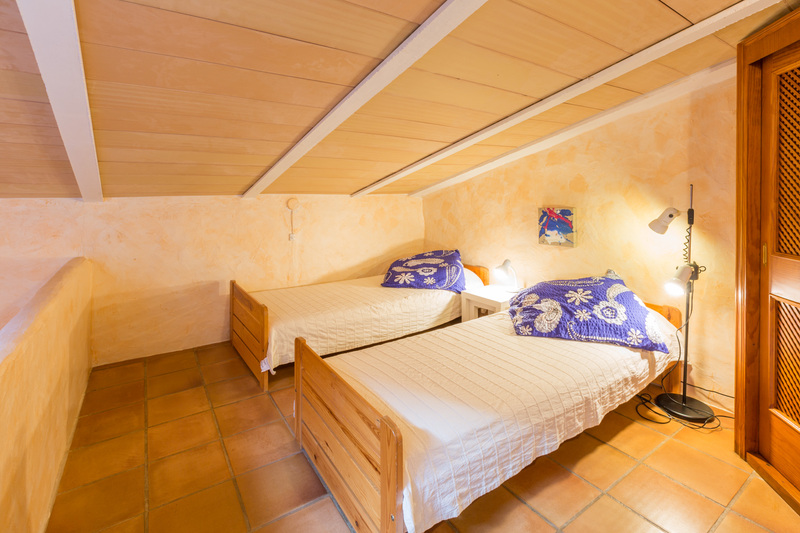 There are two bedrooms with a closet and a fan each. 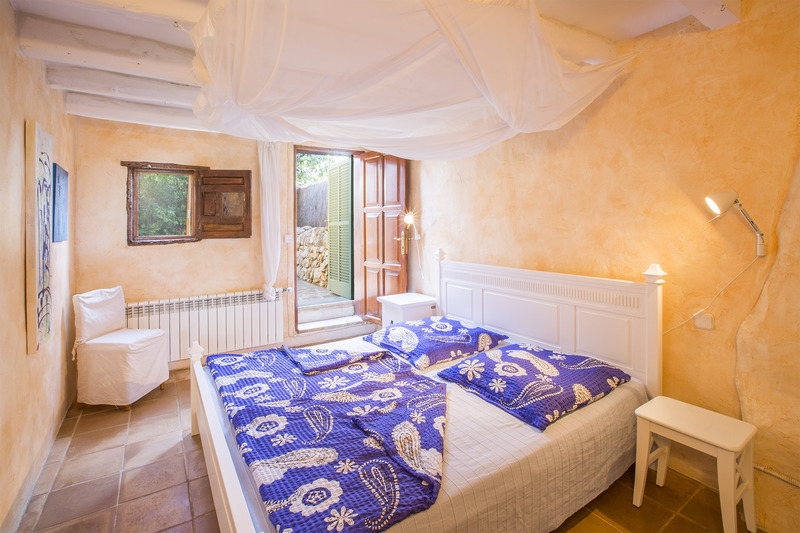 One has a double bed, space for a baby cot (there also is a high-chair) and direct exit to one of the terraces. 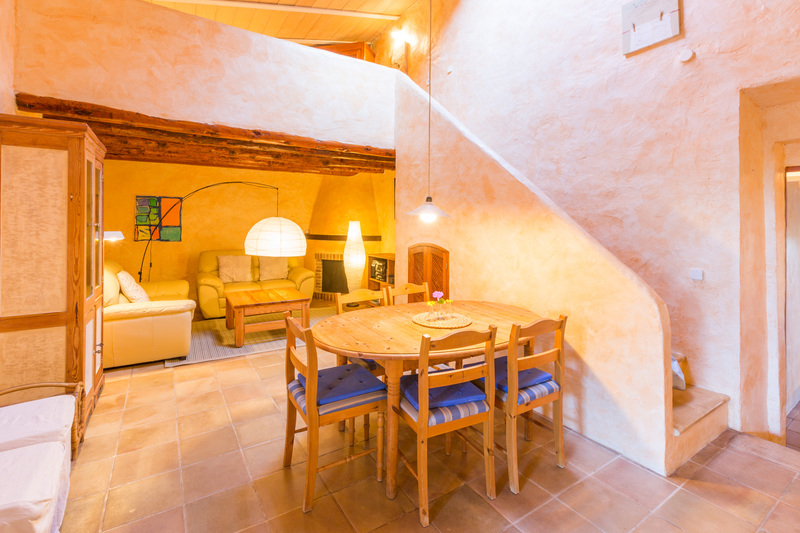 The other, with twin beds, is located in a loft overlooking the living room so there is no privacy. 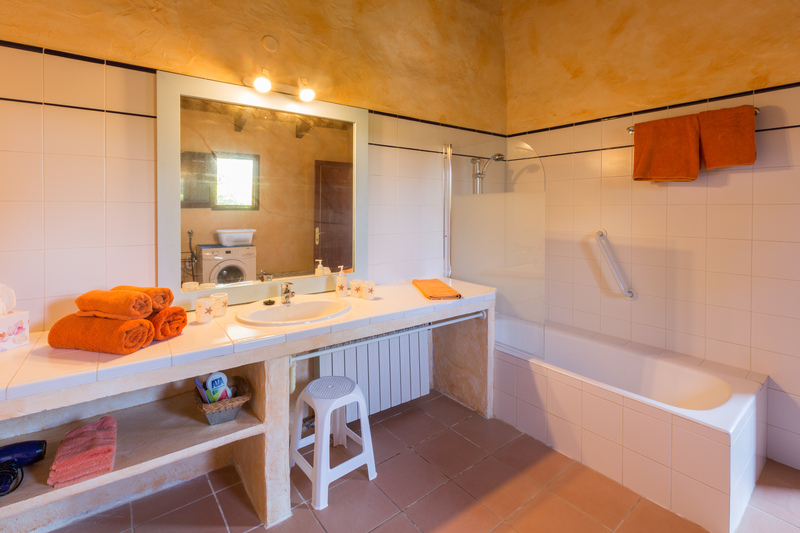 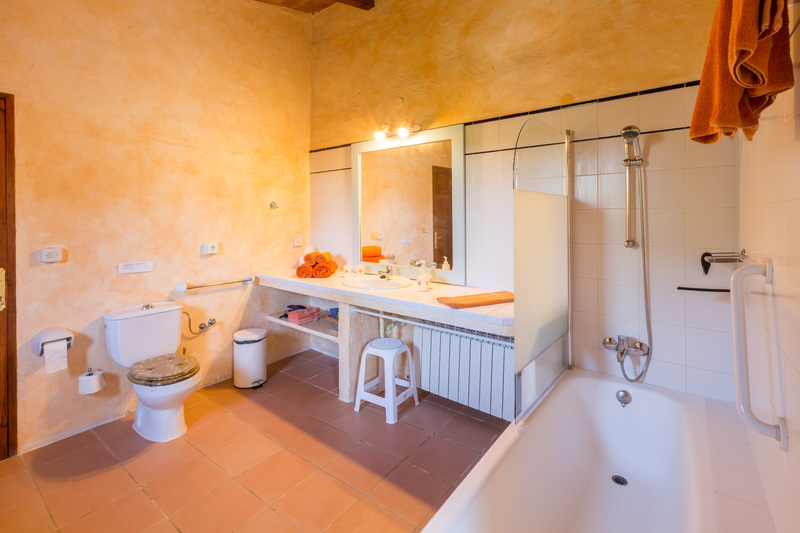 Finally, there is a bathroom with a tub outside -where you will also find the washing machine, the iron and the ironing board-, to complete the accommodation. 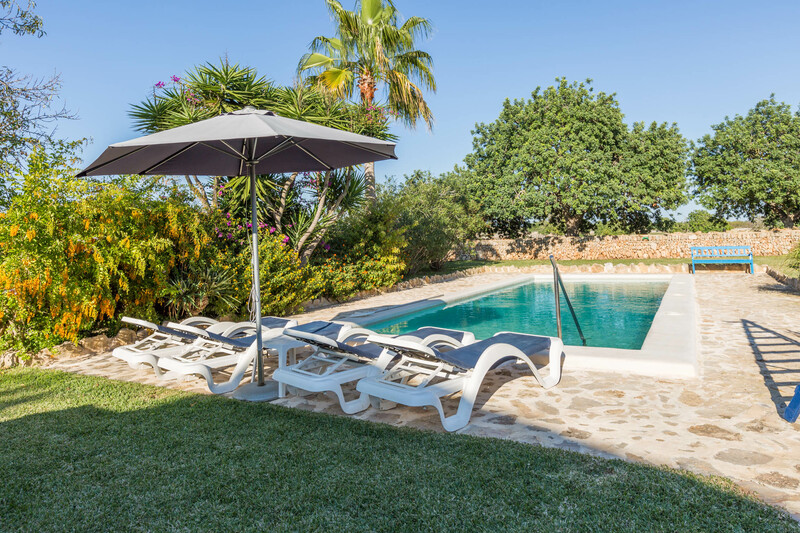 The house is just 2 km from Santanyí, a town where you can find all amenities you might need during your stay: supermarket, medical centre, pharmacy, bars, restaurants, shops, etc. 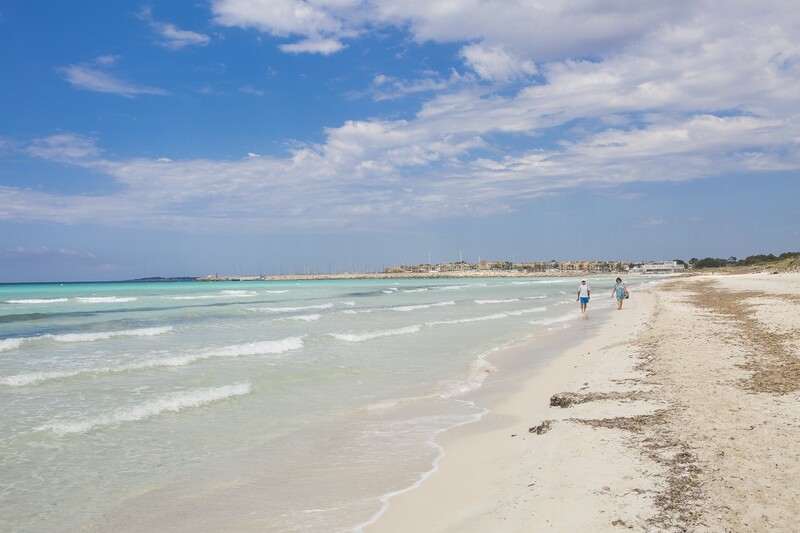 Within a 15-minute drive you can reach different white sandy beaches such as Es Trenc or Colonia de Sant Jordi, and a wide variety of beautiful coves with crystal clear waters. 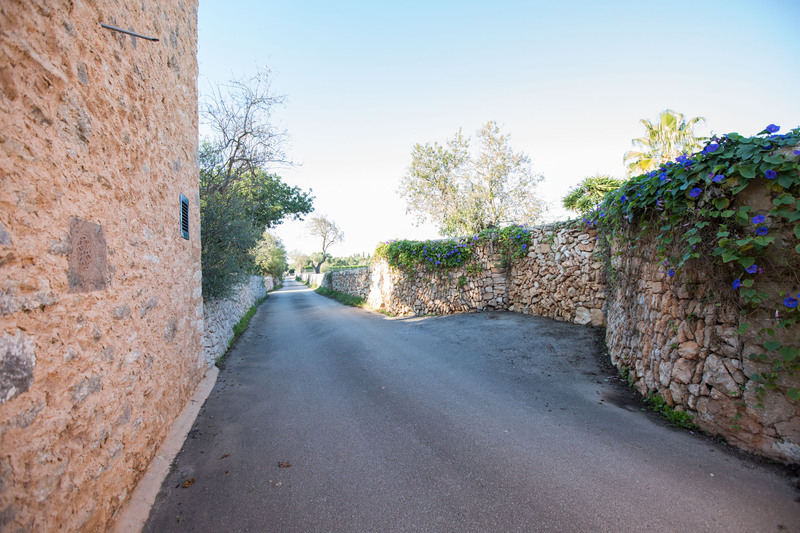 In Santanyí you find the Natural Park of Mondragó, where you can go on lovely trips. 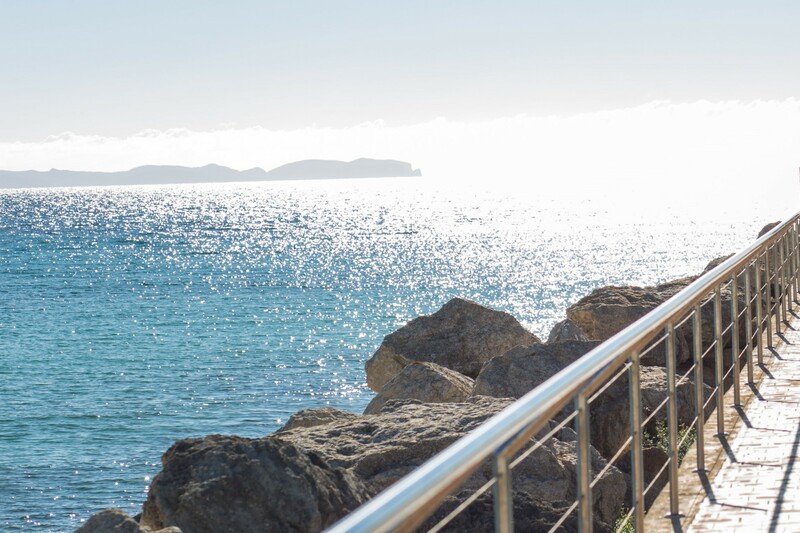 Within 10 km you can find Cala d'Or and its lively nightlife as well as a wide range of leisure activities. 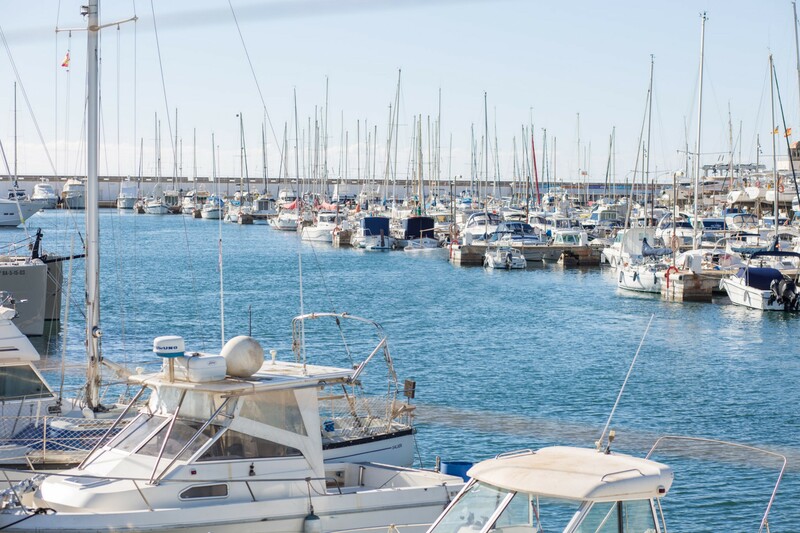 Palma is 50 minutes away by car and also worth a visit.